Hi everyone. 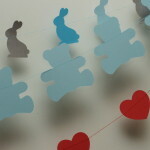 I promised to tell you more about the bunny garland in my last post. 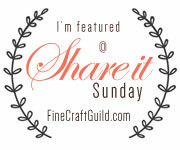 Today I’ll show you how to make your own so you can decorate your life. 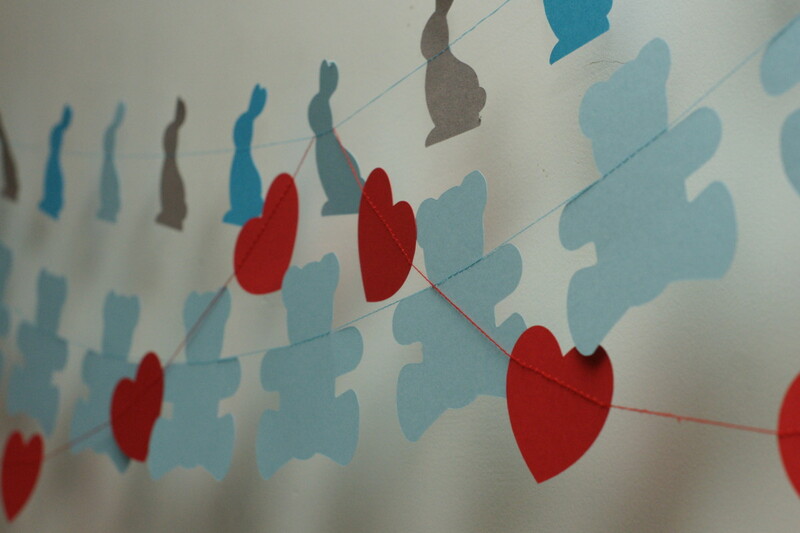 These paper garlands are so easy to make and can transform a whole room. First pick a shape for your pieces. 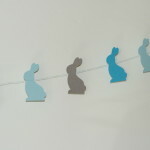 I used a bunny template for the Easter garland but as you can see in this post you can choose almost any shape. Looks like Kay is in trouble! 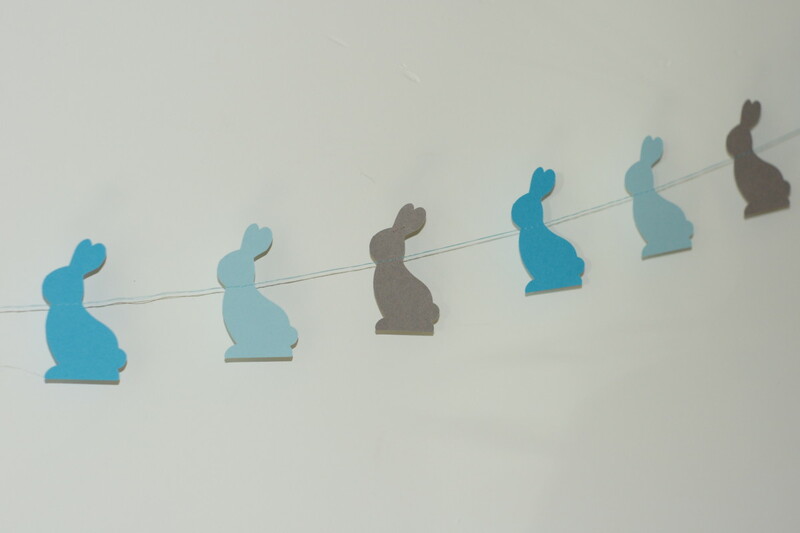 When I picked the colors for the bunny garland this is what happend. 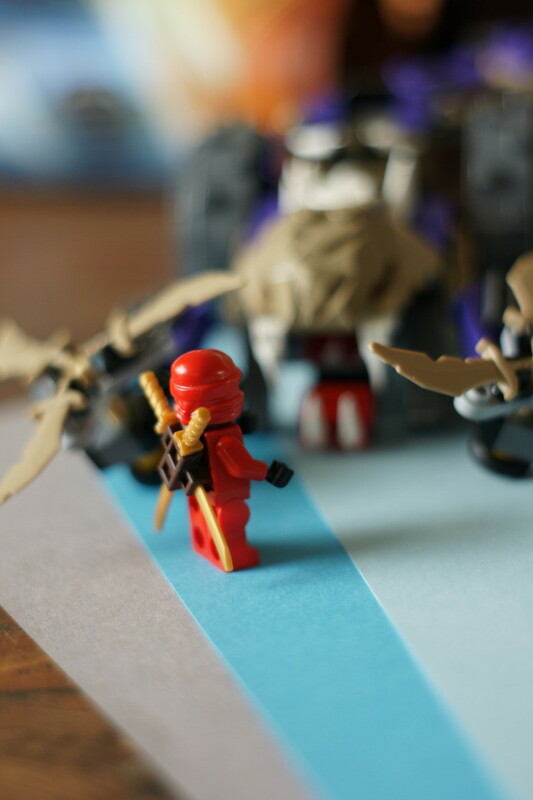 A Lego Ninjago war took place on our diningroom table. 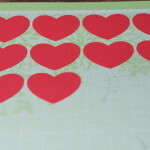 Now cut or punch your shapes and you are ready to get out your sewingmachine. Choose a matching color to tread your machine or use two different colors for a fun effect. Make sure the tension on your machine is really low. OPTIONAL: If you want loops at the end of your paper garland to hang it, get a piece of ribbon and fold it in half. 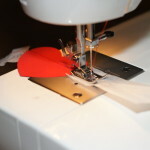 Backstitch to secure the ribbon and tread and start sewing a straight line slowly. 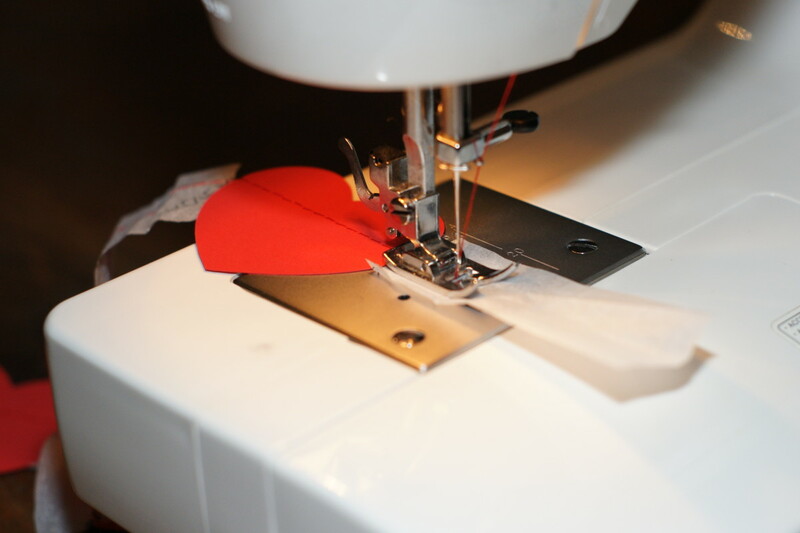 Put your first piece in front of your presser feet and sew across. Make sure to sew a little above the center. This way gravity will keep them upright. After each piece keep sewing slowly until you have your preferred distance to the next piece. I must say that my machine doesn’t like that and it works better with the tip from www.draadenpraat.nl to use pieces of paper between your pieces. You can just tear them off when you’re done. It is a Dutch site but the pictures are pretty clear. Keep going like this untill you have reached te desired length or you run out of pieces. OPTIONAL: Attach the other piece of ribbon to the end of your garland. 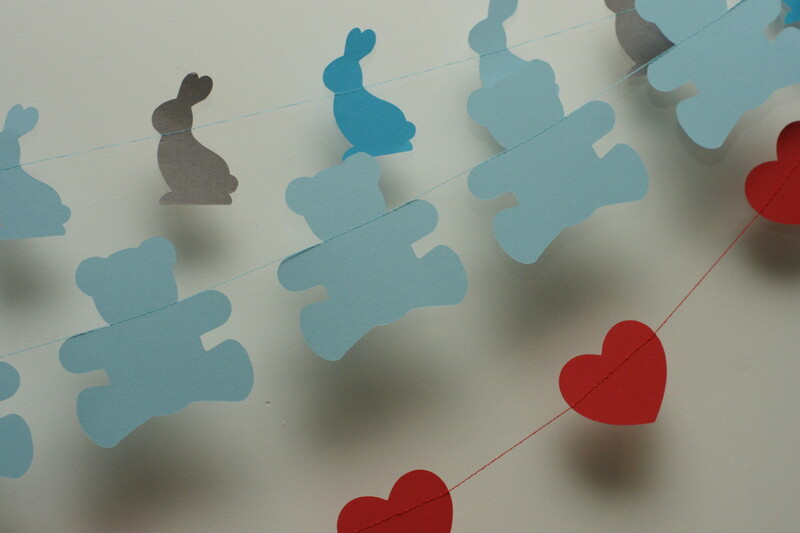 These garlands wil make cute gifts and can be adapted to any theme you want. 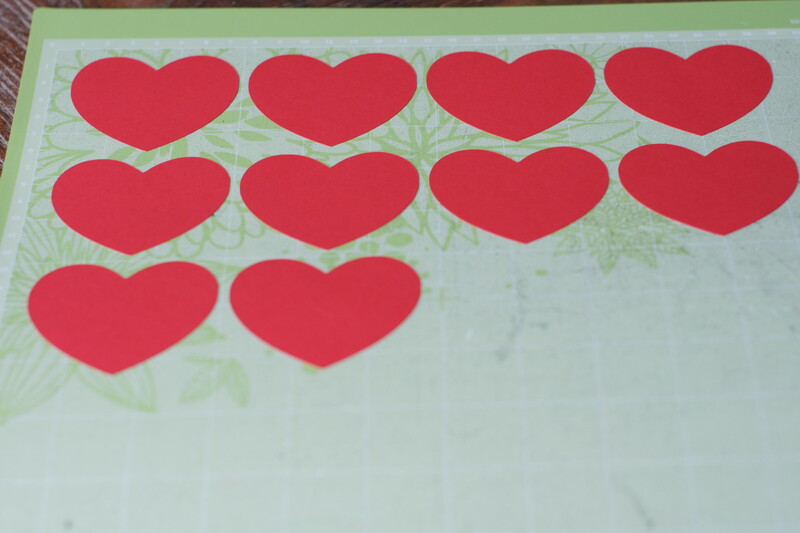 They are easy to make, easy to personalize and easy to store. Now go and decorate!